This is one the easiest snacks to make no matter how skilled you are in the kitchen. Chia seeds are high in protein and fibre and when added to your favourite fruit, it will provide you with a nutritious, naturally sweet snack to keep you full for longer. Once you’ve prepared the pudding, you can eat it straight away or store it in the fridge for up to three days. 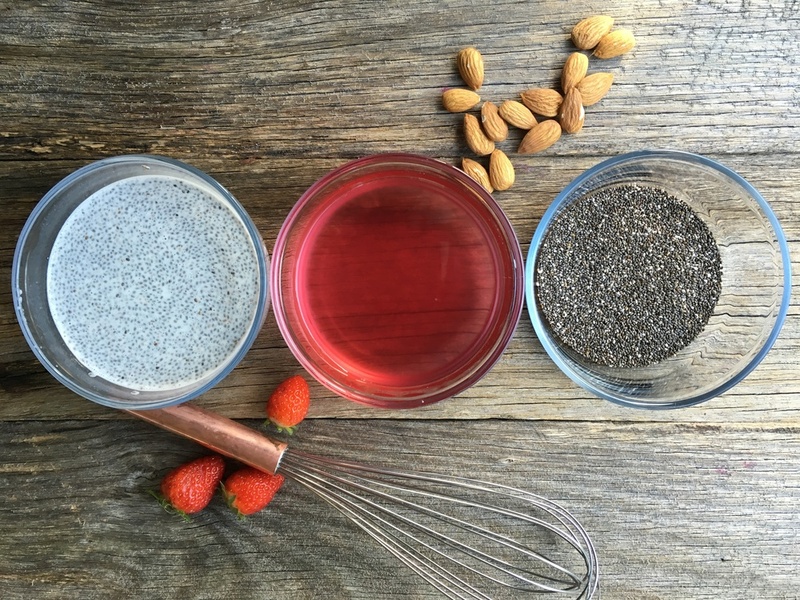 Here are three super options for portable, lunchbox friendly, low FODMAP, sugar free, dairy free, gluten free chia puddings. Top with blueberries and passionfruit and enjoy! Top with strawberries and slice orange and enjoy! Top with sliced kiwi fruit and grapes and enjoy! I find that when combined with fruit the dish is sweet enough, but it’s not to your taste, add a teaspoon or two of your preferred sweetener such as maple syrup, rice malt syrup or stevia to the mix or pour it over the top. It also works really well with a dollop of yoghurt or nuts and seeds or test out new flavour combos and see what you come up with!